My energy work in combination with coaching helps create rapid, life changing results. I’ve been a healer for over 15 years and have throughout the years developed and evolved both my healing abilities and my energetic and intuitive abilities and awareness. I work directly with Source energy so it’s the purest form of energy work there is (it’s beyond belief-systems and concepts). In the past I offered energy healing sessions but as my abilities evolved I started to experience that the energy work happened directly when I was interacting with my clients. More and more often I experienced the energy transmission happen directly in my coaching sessions and in a vastly shorter time than a traditional 30-60 minute healing session. So in tune with the realization, I changed my approach, so nowadays I don’t offer any specific “energy healing sessions” anymore because they are simply not necessary. I also don’t call myself a “healer” because I don’t ‘heal’ or ‘fix’ people, I don’t work that way. With that said, spontaneous physical healings do occur, and it’s wonderful when that happens, but it’s not where my focus is. My focus is on the level of energy and consciousness. I do the energy work in a meditative state where I connect energetically with the Truth of your being and work intuitively with it. All you need to do is to fully allow the energy to do what needs to be done in you and in your life and with that openness, positive changes will start to happen for you. My energy work clears and removes blockages and raises your frequency to a higher vibrational level. When I work energetically on my clients they get plugged into higher frequencies that assists them in the area of their life that they want to change and lines them up powerfully with the energy of what they are looking to manifest or transform. Connecting and communicating with someone that holds a higher vibration will allow you to raise your energy significantly and amplifies the vibration and makes it easier for you to shift to and sustain the higher frequency. 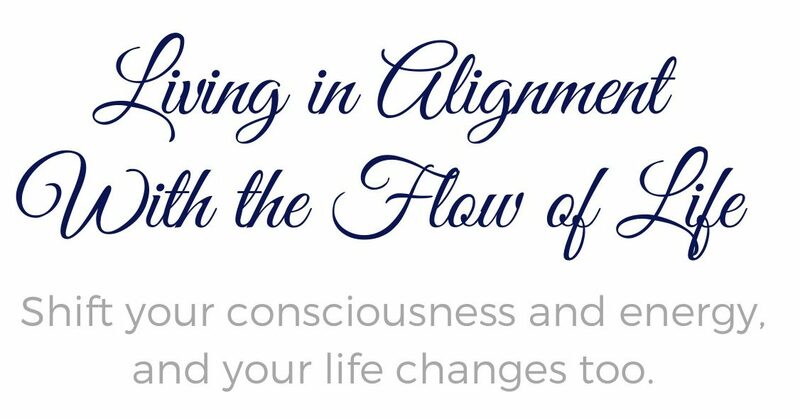 You will immediately begin to feel a deeper connection with yourself and your relationship with Life and other people will improve as you get energetically aligned. My energy work also helps you get greater mental, emotional and spiritual clarity and well-being and oftentimes clients experience an energetic release and relief from stress, tension, and subconscious blockages. When the unconscious/subconscious blockages are removed, a sense of renewal and liberation comes over the person that allows them to move forward in life with a new sense of inner joy and peace. The energy work I do on my clients clears away anything that is hindering them from progressing on their unique life path and aligns them with the Universe (the Source of all creation). When you’re aligned you’ll also experience more synchronicities, happy coincidences, and manifestations of desires and things falling into place for you effortlessly and easily. Living in harmony with the Universe enables you to enjoy a fuller, richer, and more inspired and productive life. In addition to the energy transmission that happens directly as we talk I’ll also work energetically on you when I’m by myself. I do that usually before and/or after a coaching session in a meditative state and whenever I am guided to (which can be literally anytime), and when we’ve made the appointments and are ready to start working together.